It had to happen sooner or later: the computer has supplanted the turntable, so why not a mixer intended for two computers? That’s the idea behind the just-announced Rane SIXTY-EIGHT. 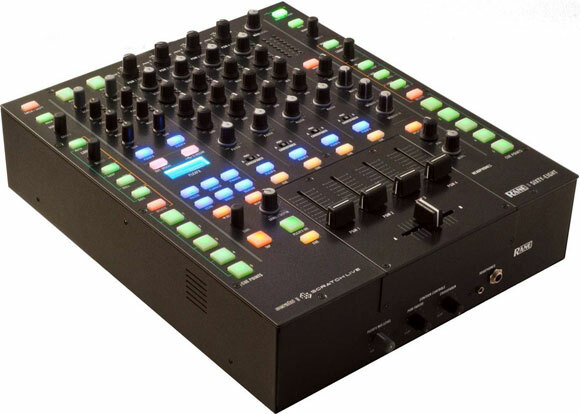 It’s intended for use with two computers via two independent USB ports, plus controller support (intended primarily for Serato’s tools, but presumably adaptable to other software) for up to four virtual decks. Now, as a way to manage four decks, it seems like absurd overkill – hasn’t Traktor done four decks for years? But if this solution is indeed software-agnostic, it could be a boon to advanced computer musicians wanting to use computers, or DJs wanting to mix Ableton Live on one machine and a DJ app on another. Of course, you could simply do that with normal audio outputs, or even digital outputs that aren’t USB – in fact, many of the Apple machines (among others) come with digital outs. 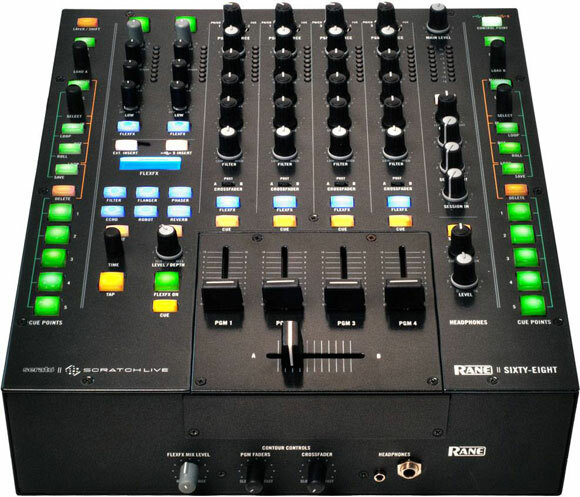 Where the SIXTY-EIGHT starts to get very interesting – beyond just for Serato users – is its effects buses, which allow you to sub-mix up to six channels into a bus, insert analog effects or even computer effects (via USB), and use beat-synced internal effects on the box. And I’ve been impressed with the quality of Rane’s mixers in the past, too. It’s not its prime audience, but I can imagine the SIXTY-EIGHT being used by someone, somewhere, doing live computer performance and using the Rane as a powerful mixer/effects for two computer sources. But ultimately, I have to admire the SIXTY-EIGHT not so much for what it does, but what it means: it means DJ mixers are entering the computer age.